The MR Direct 3120S-18 ensemble includes the largest available single-bowl, 3/4-inch radius, stainless steel sink in our line. 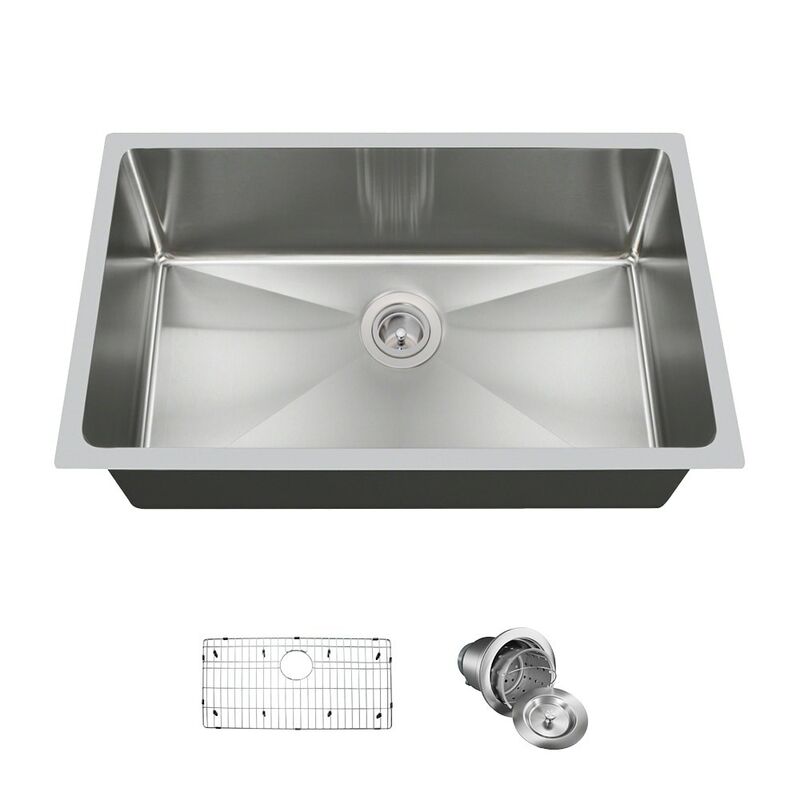 Constructed of superior 304-grade stainless steel, with an 18-gauge thickness; this sink is not only durable, but functional; with sound-dampening pads to reduce noise, insulation to prevent condensation, and an offset drain which creates extra upfront room under the countertop. The beauty of brushed stainless steel is on full display in this wide and deep sink. This ensemble includes a custom-fitted grid tailored to keep items off of the basin bottom and a basket strainer to catch scrap materials.